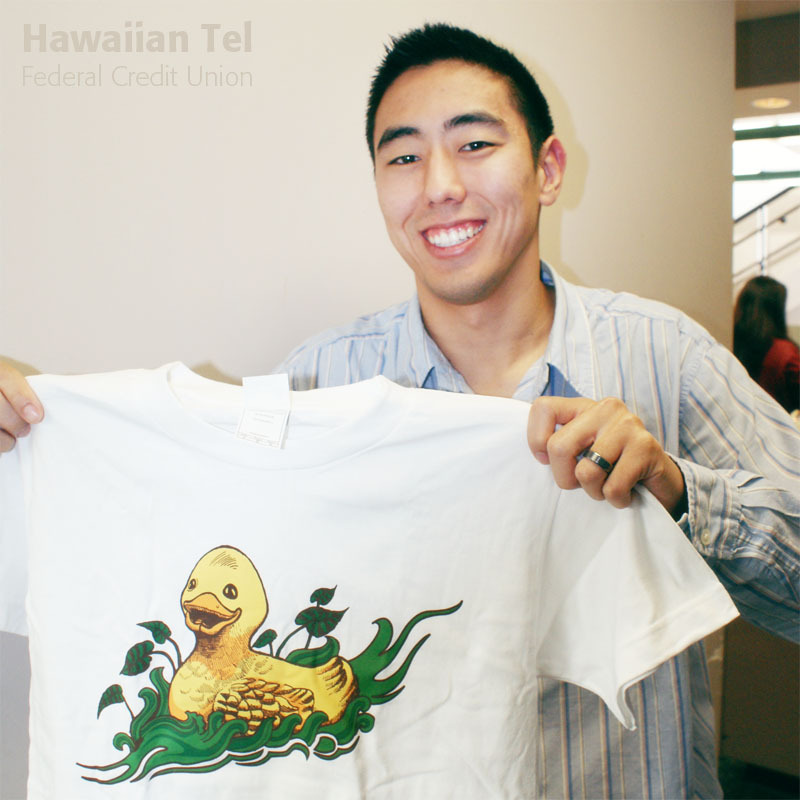 We’re gearing up for United Cerebral Palsy Association of Hawaii’s 26th Annual Rubber Duckie Race! Visit any branch today to adopt your duck, and enter the race to win great prizes! This year, the first place winner receives a trip for two to Las Vegas! Second place takes home a two-night stay at the Waikiki Beach Marriott, and third place gets a two -night stay at the Hilton Hawaiian Village! Will your duck be the lucky one? Make a “Daffy Special” adoption and take home the official Great Hawaiian Rubber Duckie Race t-shirt! This entry was posted in Kalakoa Musings and tagged cerebral palsy, community, duck, hawaii, hawaiian, hilton, honolulu, hotel, las vegas, rubber duck, ucpa, united cerebral palsy by Hawaiian Financial Federal Credit Union. Bookmark the permalink.